Celebrate a decade of epic Marvel movies with Funko's epic new Hulk Smashing Loki Movie Moment Pop! Vinyl Figure 2-Pack! 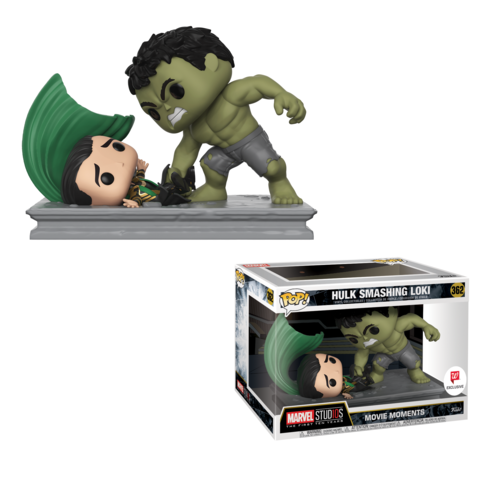 Showcasing the hilarious scene from the first Avengers film, where hulk shows off his strength to the "puny" Loki, this EXCLUSIVE Pop! is an absolute must for any true Marvel fan. Add Hulk and Loki to your Funko collection today!